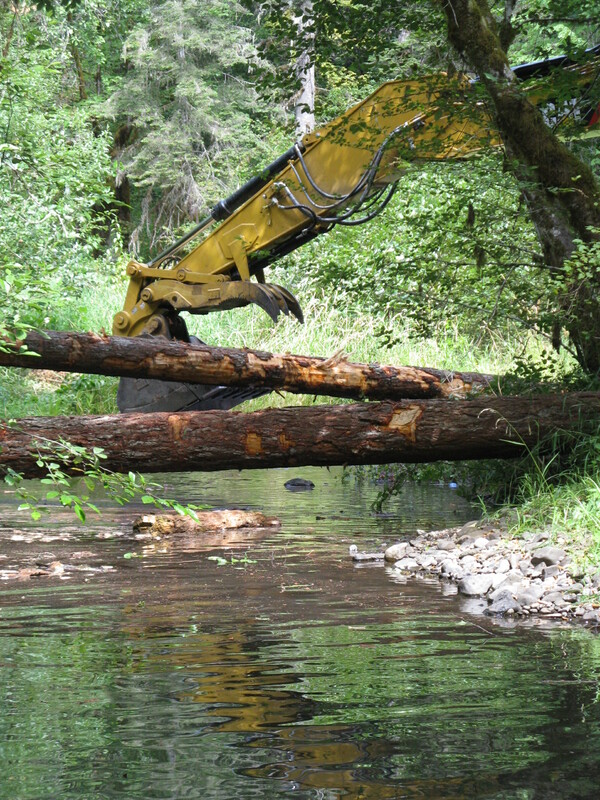 Installing logs on Rock Creek in the summer of 2014 will improve habitat for cutthroat trout and other aquatic species . Family history drips from the pores of the old farmhouse above Rock Creek. 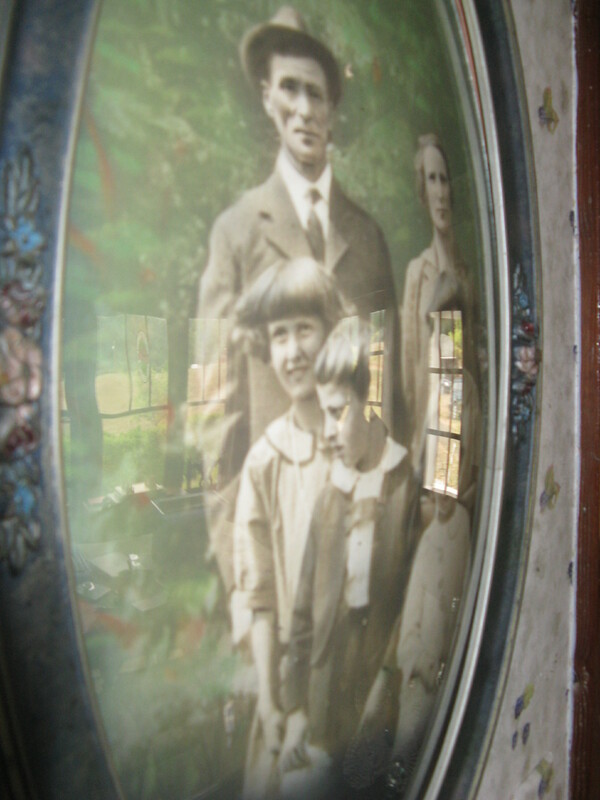 You can see it in the wallpapered dining room, where the polished faces of ancestors look out from another century, handsome and earnest inside an oval frame. 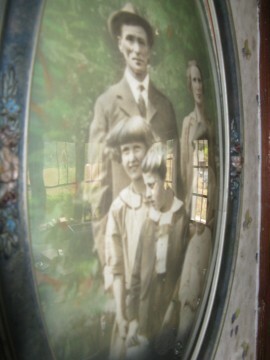 You can feel it in the lovingly preserved kitchen and parlor where the farmer and his wife raised their four children. You can sense it in the landscape beyond the windows, where draught horses once pulled a thresher through golden fields and men with handsaws felled trees in dappled forests. The Blakney family has a long tradition of stewardship. The shiny-cheeked kids in the oval photo went on to raise children of their own. One of those offspring is Diana Blakney, who spent many childhood summers tramping the mossy woods along Rock Creek and fishing for trout with her Uncle Matt, a longtime groundskeeper at Oregon State University and an outdoorsman who knew the “sneaky paths” to the best fishing spots. When Blakney’s mother, Emma Virginia Picht, died a few years ago, the homestead passed into the hands of Blakney and her two siblings. “The logs in the stream trap gravels and support fish habitat,” says Karen Fleck Harding of the Council. “This winter, we will be planting trees on several properties along Greasy Creek and Rock Creek for shade to protect the cold summer flows and to provide a future source — 75 to 100 years — of large wood to fall into the stream.” The City of Corvallis, which draws one-third of its drinking water from the Rock Creek Watershed, collaborated on the project. For Blakney, the restoration is a harkening back to those “sneaky paths” that wind through her memory — paths that fostered in her the wonder of woods, water and wildlife. “I want to leave a place where people can reconnect to the land,” she says. 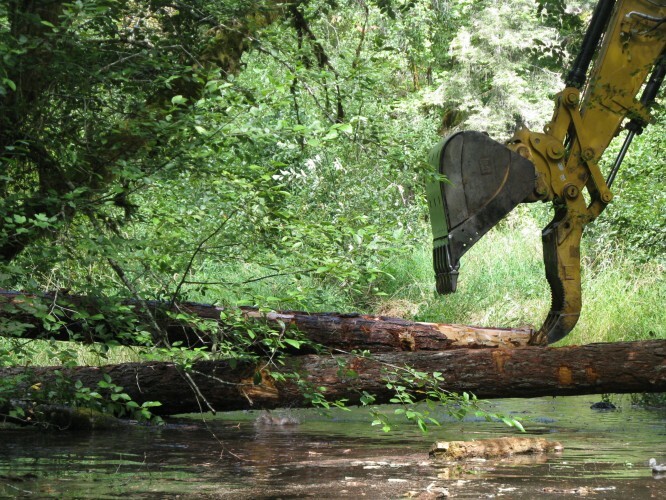 This project was funded by the Siuslaw National Forests’ Coast Range Stewardship Fund, lottery funds through the Oregon Watershed Enhancement Board, and Meyer Memorial Trust.